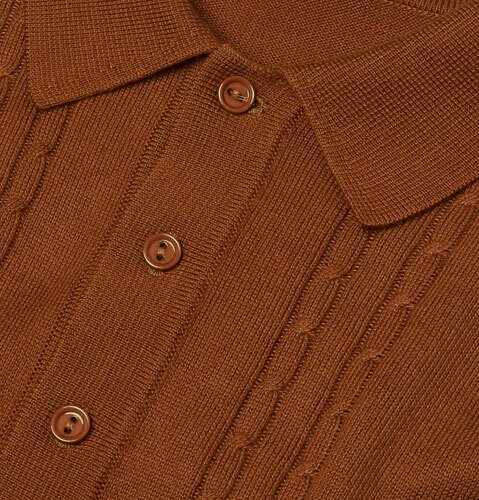 A 1960s original, the Fred Perry Cable Knitted Shirt is back on the racks in 2017. According to Fred Perry, this was designed back in the ‘60s to ‘bridge life on and off the court’. 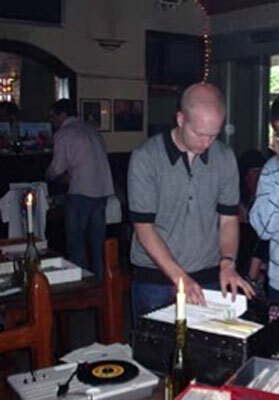 Sports casual in its very earliest days. 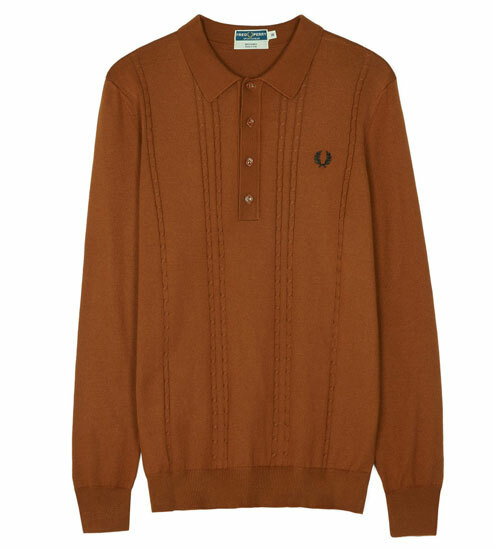 This Reissue of that top is made in Italy using a lightweight cotton-blend knit, with a cable knit design, stitched turn-back cuffs, ‘shiny’ buttons and of course, with the Fred Perry Laurel Wreath. 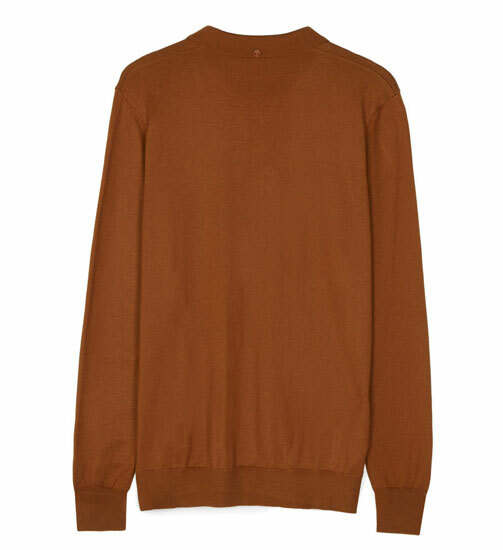 The colour is described as ‘dark caramel’ and the sizes are 36 through to 46. £125 gets you one.